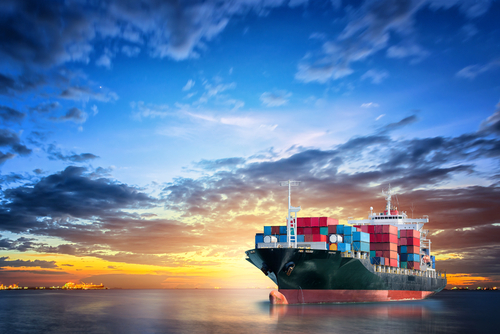 Three things to know about the digitalization of ocean freight in 2019 - Specialty Freight Services Inc.
Digitalization in the ocean freight industry is gathering momentum in 2019. According to a survey conducted by iContainers in 2018, which surveyed 200 shippers regarding the ocean freight industry and the digitalization of its services, 67% of shippers have begun to see signs that the sector has started its technological transformation. As we look forward to the industry’s impending strides toward digital freight, here are three key insights from experts to keep in mind for the coming year. 96% of respondents believe that technology in the maritime sector will add value to the user. 72% of respondents have used digital ocean freight services provided by freight forwarders. 5% believe that technology can help facilitate and simplify procedures and processes. 3% responded that new technology will help the industry improve the prices of services. 3% stated that technology can improve communication and price transparency. 2% predict that digitalization will accelerate hiring and provision of services. 1% believe technology in maritime transport can give them access to a wider range of operators and better services due to increased competition. Last year, ocean freight carriers took the reins when it came to adopting new technologies. As such, they were able to offer better value to their end users. For instance, Hapag-Lloyd, the fifth largest container shipping company in the world, were able to deliver guaranteed bookings by incorporating allocation, pricing and booking functions. Maersk, the world’s largest container shipper, quickly followed behind and emerged as an integrated service provider. Maersk also led the way in driving usage of their digital platforms by charging customers a fee if they did not book online. Both companies have pledged to continue to digitize their services, with a focus on customer orientation. Some of the key challenges facing technological transformation in the maritime industry are security concerns, potential negative effects on jobs and an aversion to new technologies. According to PwC, “lack of digital culture and training” and “unresolved questions around data security and data privacy in connection with the use of external data” are the top two challenges facing transportation and logistics companies. Enhancing cybersecurity measures to protect data is always a critical focus when it comes to implementing digital platforms. Doing so will be vital to building trust in an industry that is known for its attachment to tradition. In order to change industry players’ attitudes toward new technology, improving digital security will be key. Additionally, experts note that seafarers will likely need to equip themselves with technological knowledge and skills, such as managing software, in order to advance their careers in an increasingly digital sector. However, they emphasize that automation cannot replace human skills and experience.